Who is Conservative leadership contender Andrea Leadsom? South Northamptonshire MP Andrea Leadsom has officially thrown her hat into the ring to be the next Tory leader following speculation that she would launch a bid. The 53-year-old was a prominent Leave campaigner during the referendum and impressed in the TV debates before last week's shock vote to exit the EU. So who is she and has she got a genuine chance of winning? What does she do at the moment? Leadsom has been the South Northamptonshire MP since 2010 after being elected for the newly created constituency with a majority of more than 20,000. Since then, she's also been the Treasury Minister and is now the Energy Minister. Leadsom campaigned to leave during the referendum and has described Brexit as "a huge opportunity for our great country". 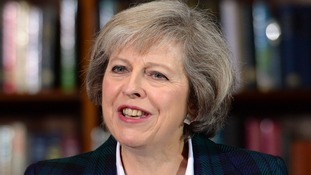 She is a big believer in scrapping free movement and is keen to do free trade negotiations with the rest of the world. Away from the EU debate, she has also argued strongly against the HS2 rail project in the past - claiming that it doesn't represent value for taxpayers’ money. She was also one of five Tories to abstain from voting in the Government's Gay Marriage Bill in 2013. Well, the bookies seem to think she's in with a shot. Her odds have tumbled since Boris Johnson's dramatic announcement that he won't be standing, and she's now the 5/1 third favourite. Leadsom is still considered an outsider compared to the big-hitting duo of Theresa May and Michael Gove but it would be foolish to rule her out. Leadsom enjoyed a very impressive referendum campaign and the fact that she backed a Brexit will give her a chance of fighting it out until the end. She also seems to be popular with voters, with a Twitter account called '@Andrea4Leader' already in full swing. Andrea Leadsom will find out if she's made it through to the final two of the Tory leadership contest in a few hours time. The next leader of the Conservative Party and Prime Minister must come from the Brexit camp, South Northants MP Andrea Leadsom said.